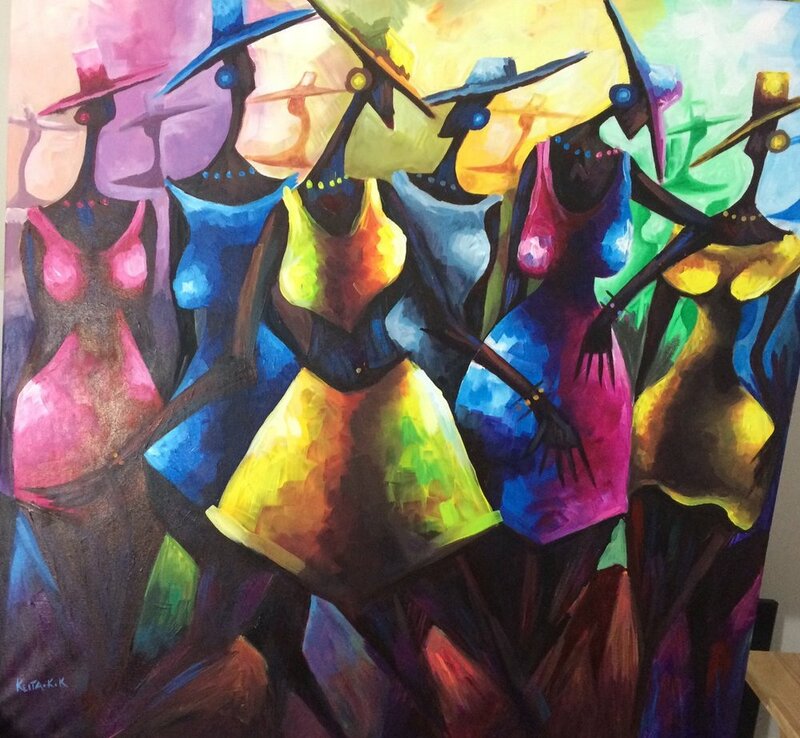 In honour of the 12th year of the Kaleido Family Arts Festival, The Carrot presents a special exhibition of Giselle Denis’ work. Her beautiful landscapes are refreshing in their playful use of bright colour, bold textures, child-like perspective and idiosyncratic scale. The Carrot's August gallery features brightly coloured abstracts by Monica Prescott that spark an experience of light in the human heart. The Carrot Community Arts Coffee House invites you to join our June Gallery Opening. 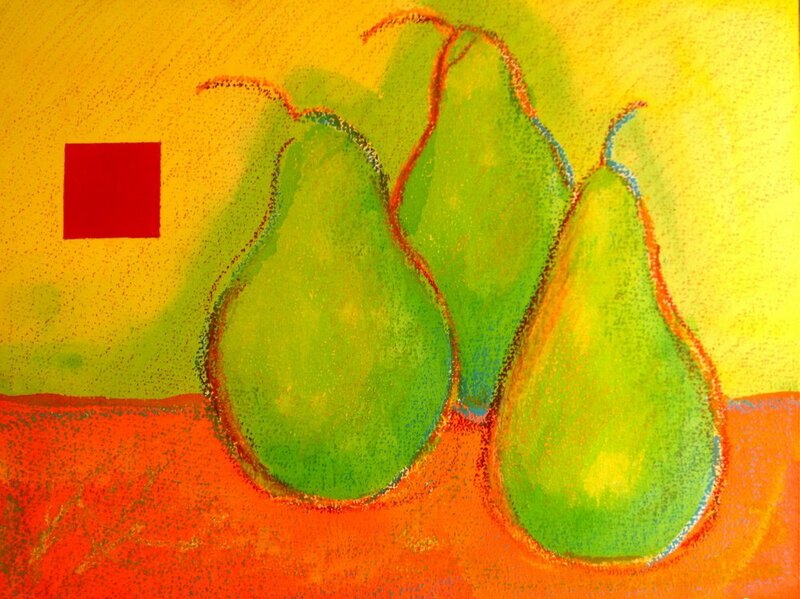 Through the motif of the pear, Marilyn Nilsson Grabinsky uses nontraditional watercolour methods to explore themes of sensuality, health, and longevity. 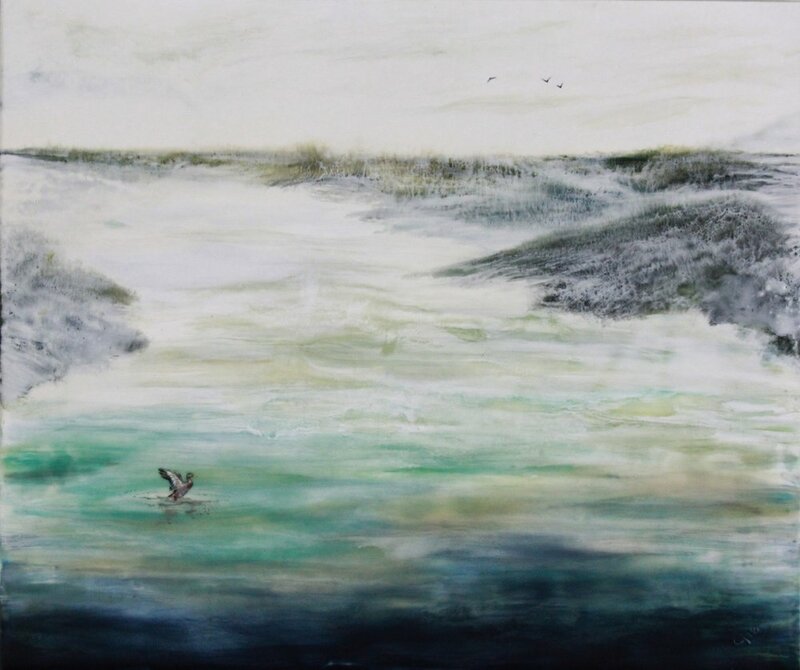 Her artistic technique allows water, paint, and paper to spill, pool, and blend to the point where the textures and colours themselves to become the subject of her work. The Carrot Community Arts Coffeehouse invites the community to share coffee and conversation with artist Randy Daummann, whose work is featured alongside Nicole Pakan in the May Gallery Installation. These two artists capture moments and concepts of natural and urban spaces through a full spectrum of mediums- from Pakan’s encaustic art with roots in 6th century to Daumman’s 19th century lino-cut print making. 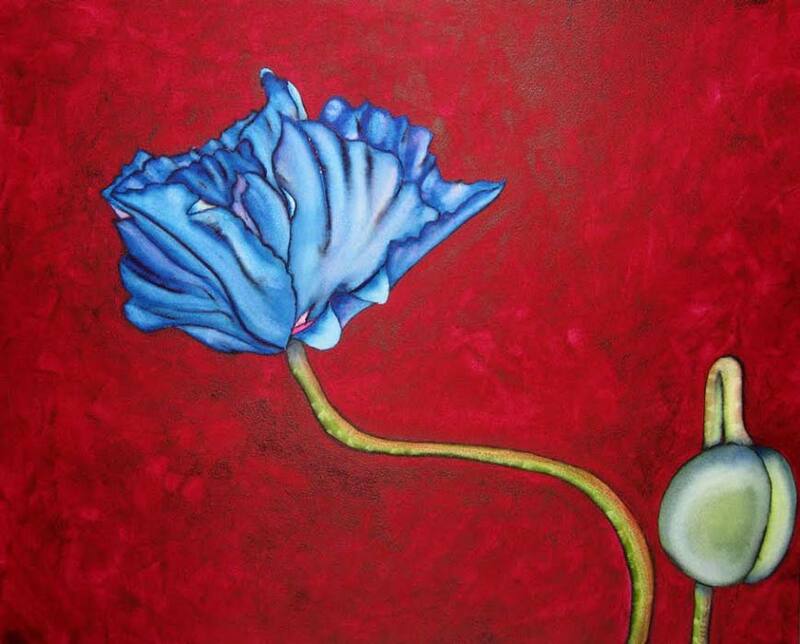 In the month of April, The Carrot Gallery hosts the combined works of Gary Phil and Julie Drew. While these two artists work independently, both of their works are inspired by nature: flowers, mountains, and landscapes. Gary R Pihl was born in New Westminster BC in 1948. At an early age his family relocated to Vancouver Island where at 13 he became the youngest member of the Crofton Art Group, a group that has become one of the oldest established art groups in Vancouver. In 1965, at only 17, Pihl moved to Edmonton to attend the Shepy School of Art. After his graduation in 1971 he continued his practice and distribute his work across Canada, from BC to Nova Scotia. 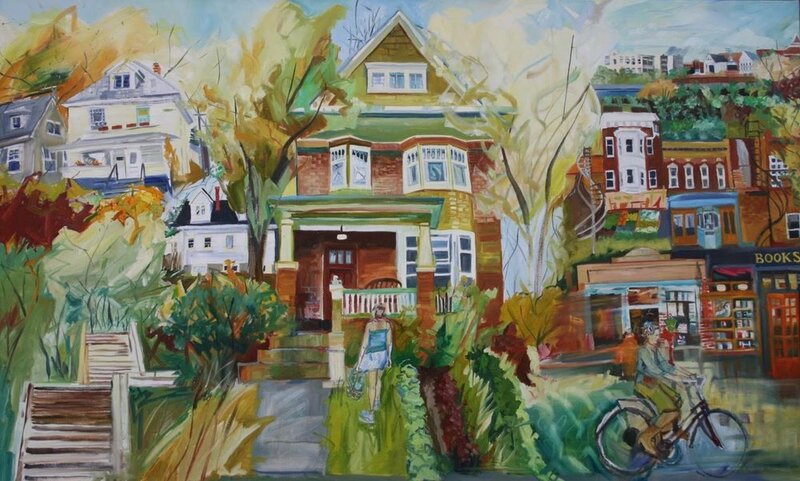 His pieces can now be found across Canada, the US, and in the homes of Edmonton art collectors. 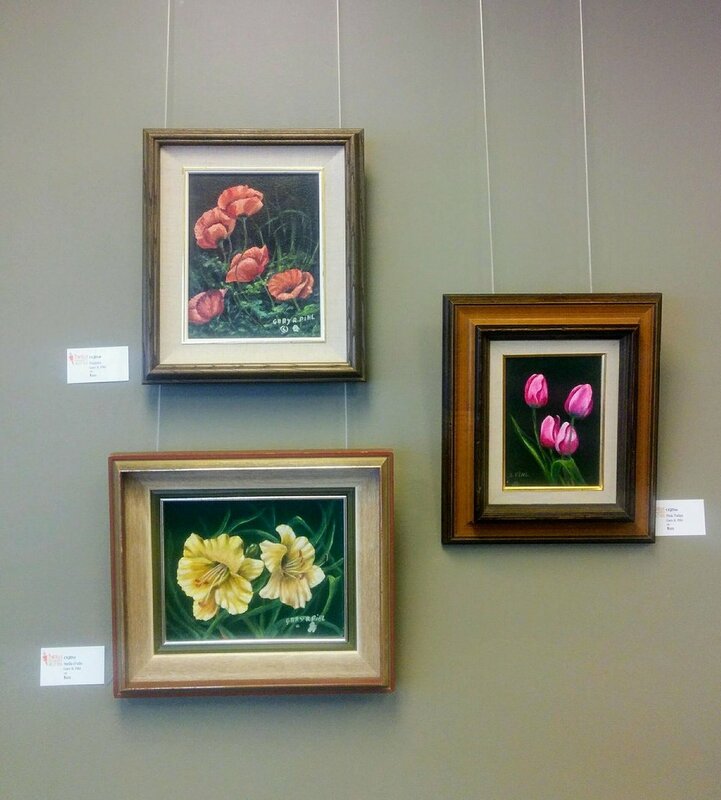 Julie Drew has always been attracted to the beauty of nature—mountains, oceans, animals, and flowers. Inspired by the world around her, she explores the depths and nuances of color, light, shadow and shape through watercolour on her own handmade paper. Her passion for art led to a Bachelor of Fine Arts in Painting and Drawing from Pacific Lutheran University in Tacoma, WA, USA in 1987. After completing her degree, she continued her work in America until 1997 when she and her family relocated to Edmonton. In addition to her own practice, Julie teaches papermaking, watercolour and other art mediums. 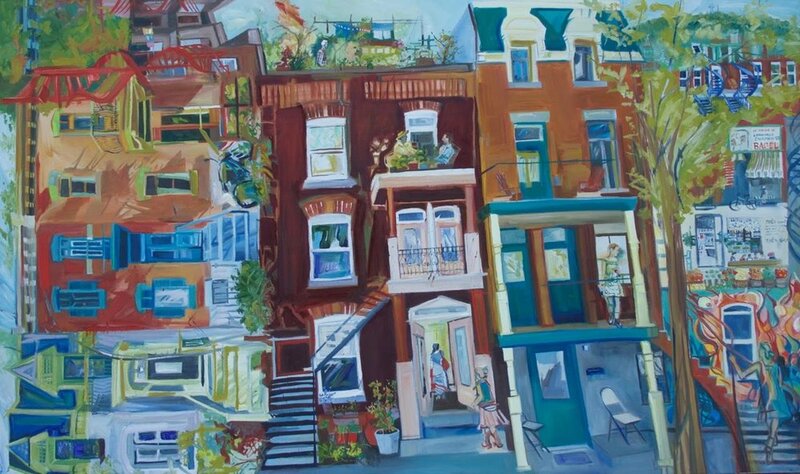 Allison Argy-Burgess' inspiration comes from her travels abroad and the local places she loves. 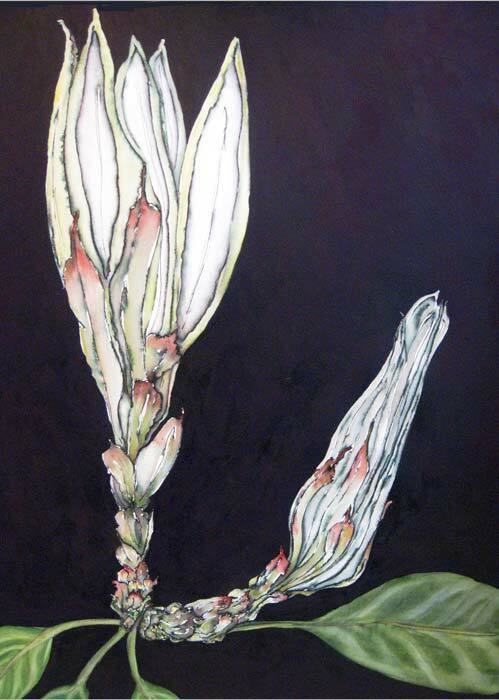 Using sketches, photographs and memories as resources she creates botanic and landscape works. As a studio painter, Argy-Burgess searches for a quality of mystery and the ‘not quite real’ rather than photographic reality in her watercolours. Instead of a faithful rendering, her strong forms and rich colours illicit feelings of nostalgia and atmosphere to achieve an emotional response. Join us March 8 for the Gallery Opening. 7-9pm. Come to the opening night of the March gallery for a first peak at fantastic watercolours and a meet and greet with this month's artists, Allison Argy-Burgess. While her work can usually be found at her gallery at Harcourt House Society, this month it will brighten the walls of the The Carrot Community Arts Coffee House. February’s gallery features one-of-a-kind works inspired by the groundbreaking NYC artist Jean Michele Basquia, curated by Edmonton artist Pedro Rodrigeuz De los Santos.